Katie loved all sports but one sport she actively played throughout school, university and later, was netball. After moving to Wokingham to be with Richard, she joined Wokingham Netball Club and enjoyed not only the match playing side of being with the team but also the social side. After Katie’s accident, we felt it was important to still be involved with the Club in some way because it had provided her with so much enjoyment. After speaking to the Club’s Chairperson, Vicky Bowyer, it was decided that KHMT would sponsor two trophies. 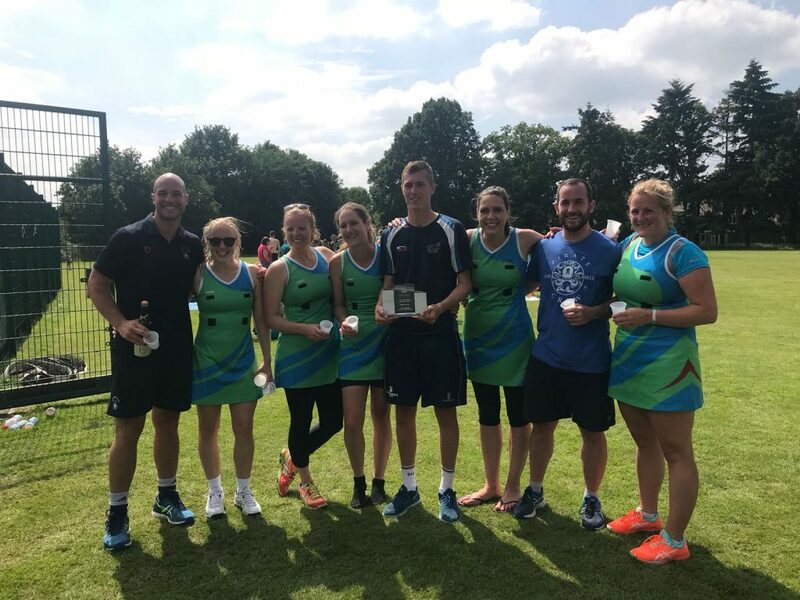 The first for the winner of the Club’s annual Mixed Netball Tournament and the second a trophy for the Bracknell and District League, which would be given out annually at their AGM for the person who gets the most votes throughout the season as ‘Player’s Player’. Gordon and I went to watch the nine teams playing for the first trophy at the Mixed Netball Tournament held at Luckley House School. We also had a small stand with CO alarms and KHMT literature. The competition was fierce but there was also much laughter and the sunshine was an added bonus. As someone who played netball at school, it was interesting to see how the game had changed and having mixed teams certainly added to the enjoyment. The winning team was CGL.